I posted this translation in my fb fans page on 06-Oct-2014, now re-posted here! 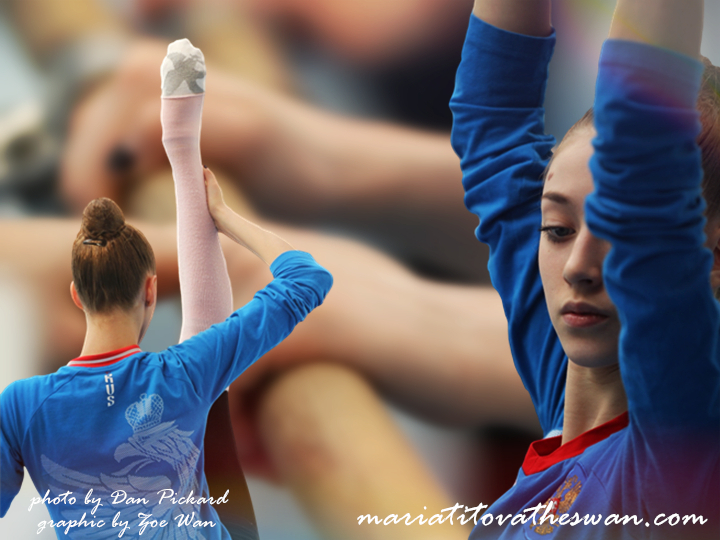 Yes, for today Mamun and Kudryavtseva are the main candidates for the Olypmics. God, let them stay healthy! But everything will depend on their further results and who takes the lead. For example, during preparation for the current World Championships Maria Titova lost her place in the team to Alexandra Soldatova, who as a result became a World Champion in the team. So maybe this girl will take the lead in the future or Titova will probably improve her shape. We have many talented girls. So far the leaders are clear, but what happens later we will see. Everyone in the team should strive for her place, the name absolutely does not matter, – says Irina Viner-Usmanova.